Virtual Reality (VR) in its current state is, of course, impressive but in truth, it has the potential to be much more than that. 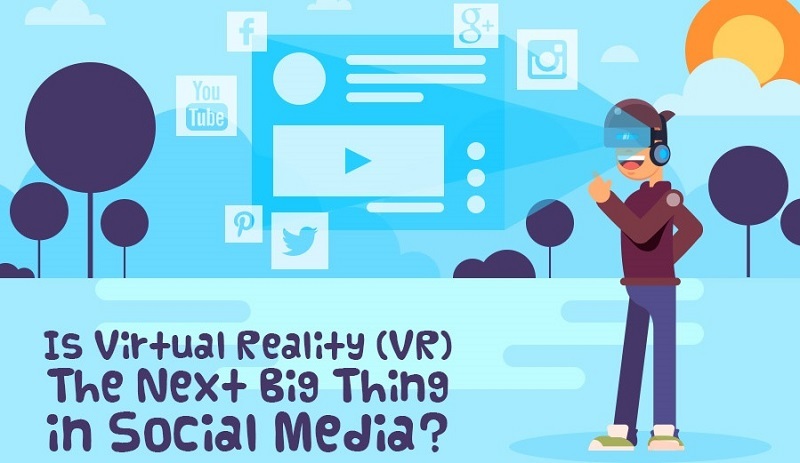 This infographic article analyses the rise of VR technology and the role it will play in social media. While much of VR up to now has been heavily focussed on leisure and largely connected with creating immersive gaming environments, this is expected to change in the coming years. VR does not have to be just for gaming and it can also create more sedate experiences. VR is growing and of that, there is no question. By 2018, there are expected to be 171 million VR users. Many of these users will be in gaming but other areas are also growing. However, as the technology continues to improve, the potential of VR is endless. When we look at social media in its current state, how social is it really? We log on to our Facebook when on our own to check what friends and family are doing. What part of this is even social? When Facebook bought Oculus in 2014, people started thinking about how they were going to use VR. At an October 2016 conference, we got an insight into the progress they had made and it really was an exciting demonstration. Zuckerberg and his team met in a virtual world and interreacted in a variety of different ways. Even though it is still at an early stage, soon we will be able to meet our friends and family in a completely immersive environment. Facebook looks to be at the forefront of this development, but there are other companies trying to be leaders in the field. Companies like vTime and BigScreen are well worth keeping an eye on as well. It is likely though with the resources Facebook have at their disposal that they will be the ones who take VR to the next level. VR in social media and social networking isn’t quite developed enough yet and there are issues with how realistic the virtual world really is. Cartoon images of people can be a bit unsettling and in truth, the images from the Facebook conference will need to improve a lot before people fully embrace it. This is, of course, the next step for VR in social media and social networking. The cartoony elements need to be removed and it must feel like it is in fact real life. This may have seemed like a fantasy 10 years ago but has now become a real possibility. Find out more in the infographic below developed by team "One Productions”.